There are a whole range of designs of splints and those who specialise in treating jaw problems may have their particular favourite and that is not to say that any other design of splint is unlikely to be suitable. The simplest difference between splints is in the material they are made from. 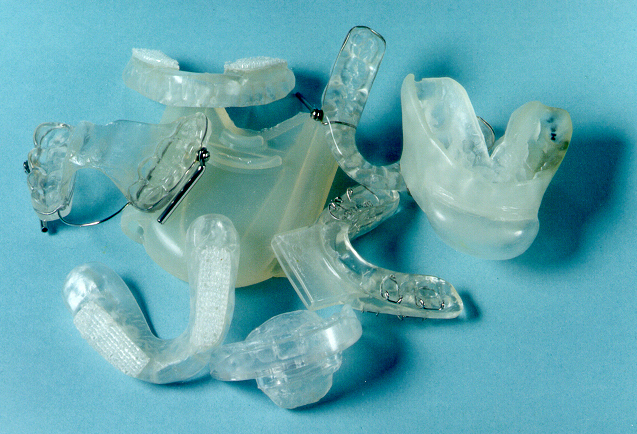 To be most effective splints need to be made of a hard acrylic material and fitted with very precise biting contact against the opposing teeth both when biting and moving the jaw as during grinding. Incorrectly made acrylic splints may not eliminate pain completely or some will find if not worn indefinitely pain returns once it is not worn, indicating the joint has not healed completely. Soft splints made of a flexible material are unlikely to be successful except in the early stages of jaw pain and can often aggravate the problem, particularly in cases where the jaw is inclined to stick or jam briefly in a certain position. 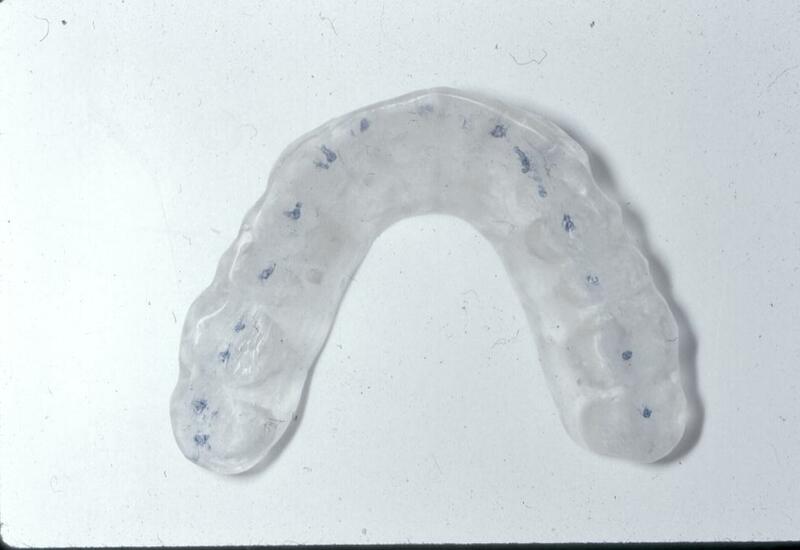 These are often provided by general dentists as they are very simple to construct and occasionally effective. Acrylic splints or bite guards are made from hard and strong material and correctly made are not at all uncomfortable and are a very effective way of alleviating jaw joint and muscle pain and allowing healing. They are also effective in some instances at relieving migraine and tension type headaches. They are not however ever going to be a cure for migraine. A correctly constructed and balanced splint would be expected to completely relieve pain if worn nightly for one year and at this point should no longer be required once healing has taken place. The correct adjustment of acrylic splints is a vital part of their effectiveness and will need to be done on an ongoing basis during the year that the splint is worn. Failure to have the correct adjustment done at the relevant times may render them ineffective. Patients who relate that they have had a splint made in the past and found it to be ineffective may have had an inappropriate splint provided by a dentist who does not have specialised training in their use or have not had the adjustment to a correctly made splint to ensure its continuing effectiveness.